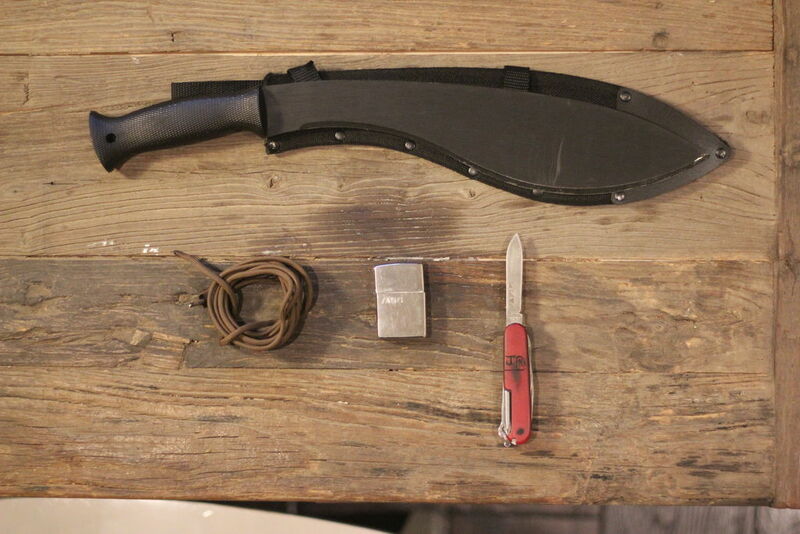 The easiest way to grip a knife/machete with paracord. First start by stringing the paracord through the hole at the bottom of the knife. If you don't have this hole you can drill into your knife or wrap the cord around the bottom of your knife. Step 3: Wrap the Paracord Around. once your near then end of the grip leave 1/2" of paracord sticking out. Then tie the remaining pieces together with a simple square knot. For more strength melt the knot together using a lighter or use a little electrical tape to secure it. Then cut off the excess paracord using you multitool or scissors. The whole point of a simple paracord grip is to be able to remove and use the cord, and re-tie it if necessary. Melting the knot makes this impossible. If you just want a soft grip or the look of paracord, there are a variety of better options. Truth. But paracord has a nice grippy feeling. In my humble opinion. And I'm willing to bet that this isn't the only knife he'll take along for a bushcraft weekender... Cutting some knots wouldn't be a problem unless you go ''single knife''. And you could probably cheat that concept by tying a Spyderco Bug on your lanyard/sheath/beard/etc. 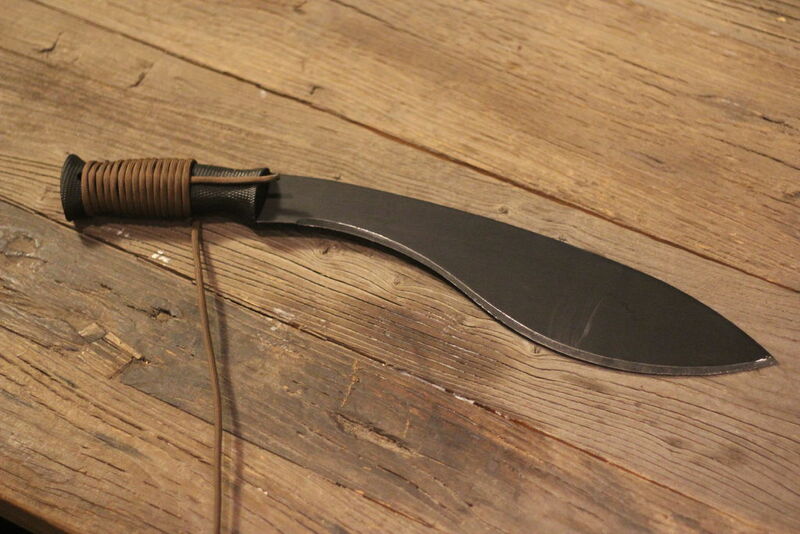 I was actually considering getting this kukri. Is it pretty well balanced with a tough blade? And I like the idea btw.